July 28, 2013 the Makeup stuff., the Me stuff., the Review stuff. Target and Kittens- Is there anything better?! One of my most favorite things about my amatuer-ish makeup “expertise” is that I get asked lots of questions. I love taking questions about anything, such as inquiries about which products I use to remove makeup (got that one last Sunday from a friend! ), or a recommendation on a great, natural lipstick (got that one last Tuesday from a family member! ), what my experience is with makeup setting spray (got that one on Friday from a coworker! ), or what half of the makeup products in existence are even for in the first place (got that one last weekend from a dude friend!). It’s a joy knowing that folks can count on me for some help, but it’s also fun seeing others grow in their own knowledge of beauty products. As someone with a background in education, I really enjoy, well, educating people. A couple days ago I accompanied one of my dearest friends to the MAC counter where she proceeded to choose four awesome eyeshadows for herself, including some super-fun contrast colors (and she hasn’t owned much product before this). I’ve done her makeup a few times over the past year, and by having it done for her, she’s told me that it’s helped her understand the importance of certain products (like eyeshadow primer and highlighter) and that it’s helped her see how she’s capable of doing her own makeup quite well, too! Sometimes you just need someone to tell you that you can do it on your own, or show you how to do it just once, or insist that you don’t have to follow “the rules” of makeup as closely as you may think. 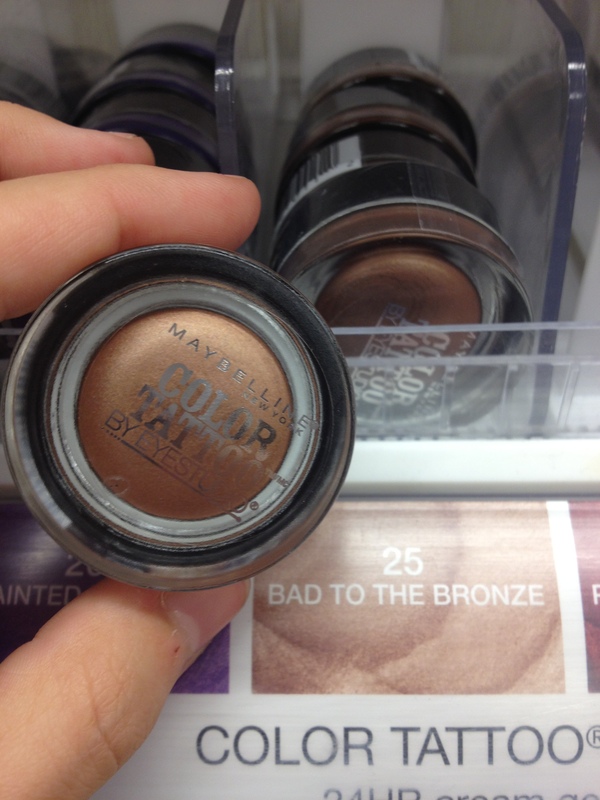 Maybelline’s line of Color Tattoo eyeshadows consist of an extremely pigmented and long-lasting cream-to-powder color that gives great shimmer. I’d honestly compare the quality of this line to Chanel’s Illusion D’Ombre, though with not as multidimensional shades. “Bad to the Bronze”, as seen here, is particularly well-known for being a great choice for any skin color and any eye color. This very shade been praised in Allure magazine, and what’s great about cream shadows in general is that they’re so easy to use. You don’t even need a brush- just use your fingers to swipe this stuff on to your lids and up to the brow bone. 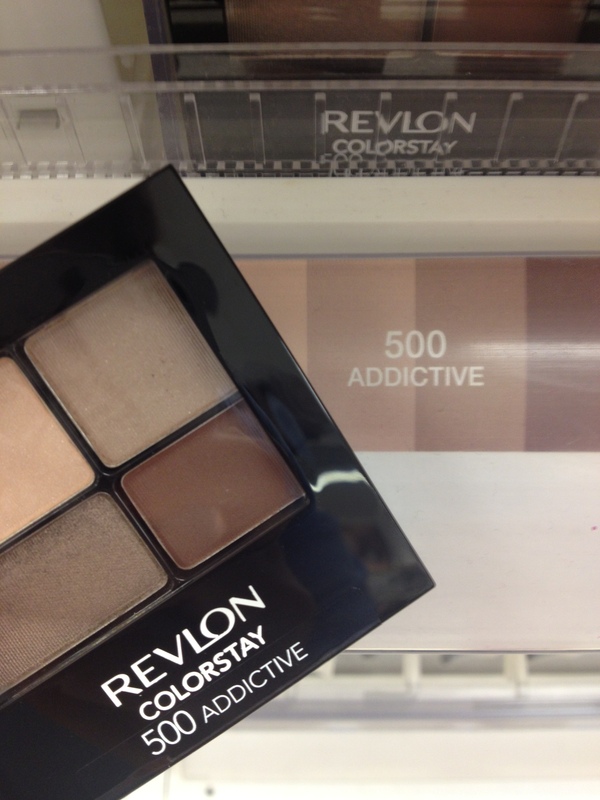 Revlon’s Colorstay quad palettes are the best budget-friendly answer to the eye palette question. The one shown in “Addictive” is, like the Maybelline shade, a good, foolproof choice for anyone. Revlon recently gave their eye palettes a makeover so they used to look a little different (and they had different names, as this one was previously named “Coffee Bean Quad”), but they seemed to upgrade the range of shades offered, as well. Revlon’s Customeyes palettes are also great if you’re searching for a more avant-garde selection, and their PhotoReady shadow and primer palettes are equally creative in color range. The PhotoReady palette in “Pop Art” has always looked fun to me for a more dramatic look. Some of the more frustrating experiences I’ve had with makeup artists or counter employees is their insistence that if you purchase one product, you simply have to buy this other product that will make the first one much more effective. 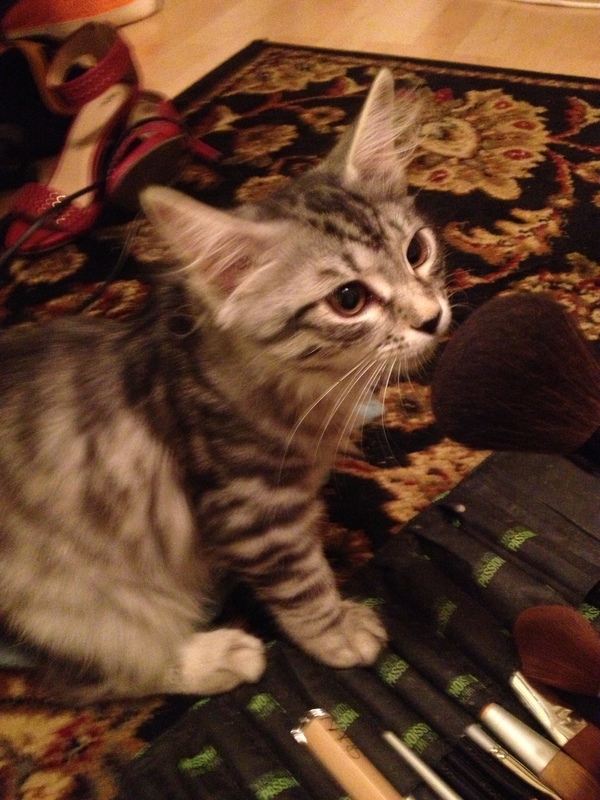 For instance, if you purchase a new face powder, you simply must buy the setting powder to apply for a proper finish! Gah! One thing at a time! Unless you’ve specifically stated that you’re out to complete your whole kit from top to bottom, don’t worry about nabbing everything suggested to you. Buy items as you realize that you need them. However, sometimes such advice from experts is, in fact, merited. 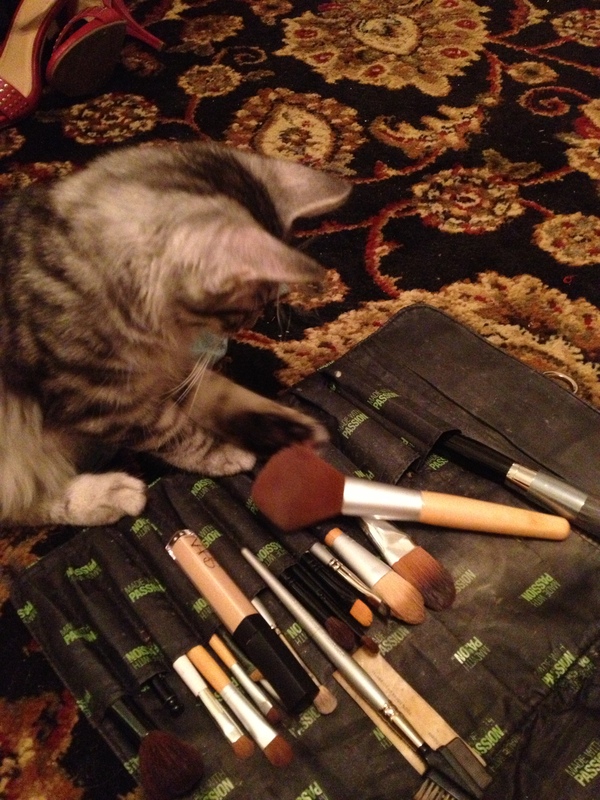 Case and point: proper makeup brushes. Please, please, PLEASE do not believe that a single eyeshadow brush will help you achieve any desired look you have in mind. There are, in fact, different brushes for very different purposes. I won’t go into detail here on which ones do which things (though I’ll just say that for eyes, you should probably own at least three different brush types if you want to be really effective with your shadows). 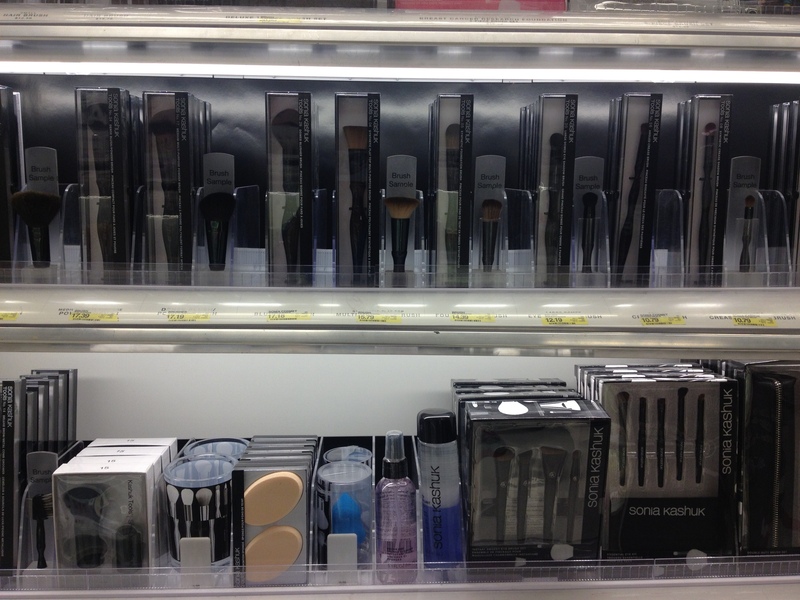 Now, I always try to encourage folks to stick with higher-quality brushes as they’re denser, softer, and tend to last far longer, but the Sonia Kashuk line at Target has a surprisingly strong line of cosmetic tools to choose from. Her brushes (especially those that are black and labeled as “professional”) are very precise and efficient in application. I’ve even purchased some of her application sponges (See the blue precision sponge? A great BeautyBlender knock-off!) with great results. So my point is, if you don’t have the time to mosey on over the the nearest Sephora, head to Target instead and snag a couple of these brushes. They’re affordable without skimping on effectiveness. I think I’ve talked about these puppies before, but here’s an innovative lip product from a drugstore that you can count on: Revlon’s Just Bitten Kissable Balm Stain. Quite the mouthful, huh? 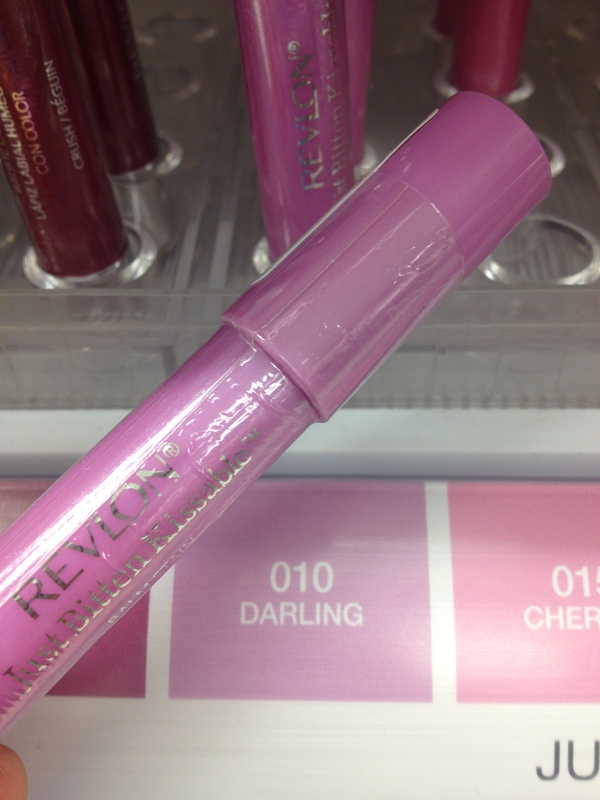 These are Revlon’s answer to Clinique’s Chubby Sticks, a product meant to provide sheer color and lasting hydration. Ever since Gucci Westman assumed position as the global artistic director of Revlon, the colors offered by the brand in everything from eyeshadow to nail color have seemed to take a high-end turn. This Just Bitten Kissable shade in “Darling” is a perfect example. It’s not a typical bubblegum pink- it’s got hints of lavender in it. It’s about as close to purple as my lips will ever get, but it’s a fun choice for something a little more unexpected. You’ve heard me talk about these before, but proper doctrine need not be preached in limited quantities. CoverGirl’s LashBlast line makes the best budget-friendly mascaras. Period. Take special note of the blue, green, and orange tubes. I’ve used all of these for years. I’ve used others in between such as Maybelline, Dior, L’Oreal, and Stila, but none manage to compare to CoverGirl’s. I understand that people tend to want different things when it comes to mascara (because how Maybelline’s Great Lash still manages to sell well, I’ll never know), but if you’re looking for a buildable, slightly tacky formula with a brush that can be easily controlled, these are perfect. The only one I really haven’t liked is the “24 Hour” kind, in the black tube. Too messy, goopy, and not enough build. But as for the rest, knock yourself out. First things first: sorry for the dirty nail. I literally covered myself in clay yesterday and have yet to scrape off every bit of it (but whether it was at the spa or for an art project, you’ll never know). Second things second: L’Oreal’s Infallible 24 HR Eye Shadow line is the boooooommmmmmmmmb. That sounds like it says “is the boom”. Well, it’s the boom and it’s the bomb. 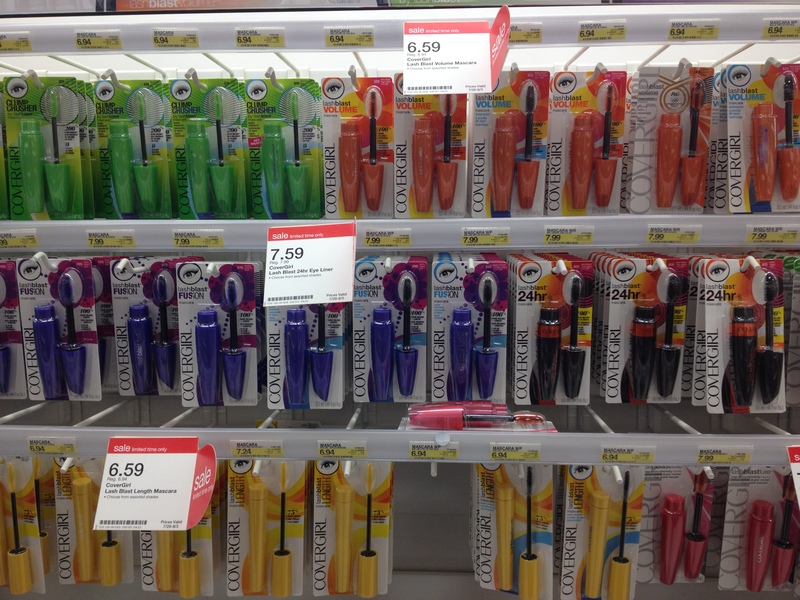 This line is your best choice for a dramatic, “going out” look for under ten dollars. These have incredible color payoff comparable to Urban Decay’s shadows, but if you don’t like shine be sure to stay away as these will draw some serious attention to your peepers. 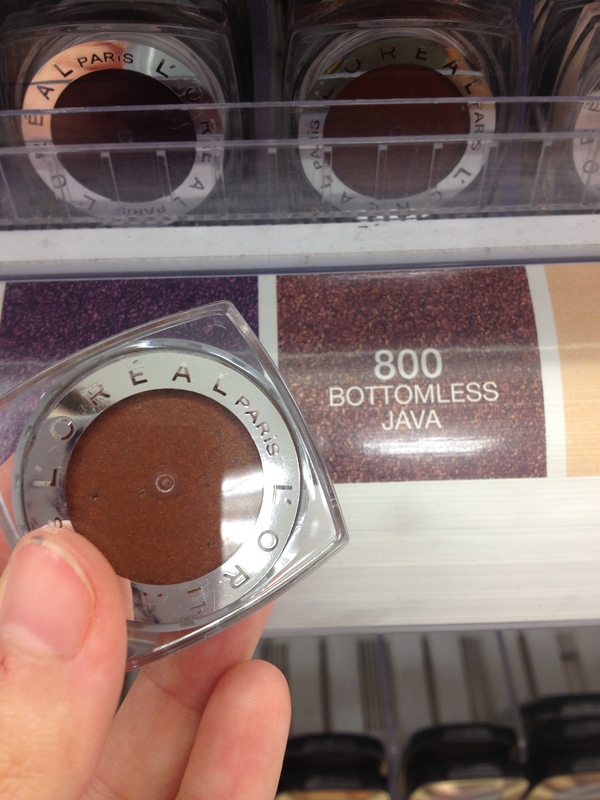 This shade in “Bottomless Java” might be one of my favorite shadows of all time, and I taut it as my absolute favorite drugstore find beyond all the aforementioned. This whole line is completely reliable, though. I posted a video from IntoTheGloss a while ago that showcased my hero Emily Weiss using the “Eternal Black” shade for a super-smokey glam-rock look. So before running over to MAC for one of their pigments, check these out first. They may have what you’re looking for.